The Future Is Female. Or Is It? Deanne Koll urges every Wisconsin lawyer to commit to helping enhance the prospects for women to reach the highest levels of practice and remain in the profession. I use these hashtags often when I am posting on social media, sometimes in earnest and sometimes ironically, depending on the topic on which I’m commenting. But, to be sure, the genesis of this movement of empowering women to rise above the glass ceiling and to support each other is a social movement in which I am fully invested. The past president of the American Bar Association, Hillarie Bass, made it one of her presidential initiatives to address why women are leaving the legal profession at higher rates than men. I have been following the progress of her research, and it has been fascinating . Bass is seeking to stop focusing on the result – disproportionate numbers of male equity partners and managing partners – and instead analyze the “why.” What she has determined is that this disproportionate result is occurring because there are fewer women left in private practice at a time you’d expect they would be reaching those milestones. The statistics are startling: although women comprise 45 percent of law firm associates, they account for only 19 percent of equity partners in private firms, according to a new survey from the National Association of Women Lawyers. Upon that information, Bass set out to determine the cause of this atrophy of female lawyers. What Bass and the ABA have concluded is that there are four general reasons why accomplished women lawyers are abandoning the legal profession: 1) success fatigue, 2) an elevated glass ceiling, 3) sexual harassment, and 4) implicit bias. There are four general reasons why accomplished women lawyers are abandoning the legal profession: 1) success fatigue; 2) an elevated glass ceiling; 3) sexual harassment; and 4) implicit bias. First, success fatigue is the idea that whatever female lawyers do, they have to do it “a little better” than their male colleagues in order to obtain the same level of recognition. Second, the elevated glass ceiling suggests that women, while now not encountering a gender-based determination on getting their first position or initial partner position, are still encountering gender-based discrimination at every step above that. Most illustrative of that is in viewing law firms’ practice group chairs or equity partners. Bass’s research has also shown that a startlingly high percentage of women are still experiencing some sort of sexual harassment or bullying in the profession. Interestingly, that number was at 50 percent based on a recent Florida Bar survey. 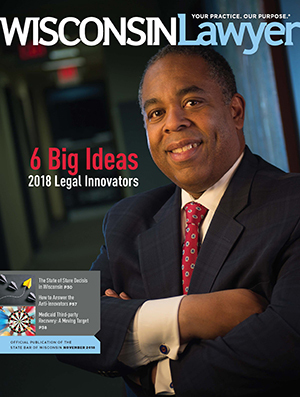 Finally, the ABA’s research has shown that there remains implicit bias within law firms, evidenced through making decisions based on gender-based assumptions, rather than simply asking questions to female lawyers. Now, I have been fortunate to have been mentored by some very strong women. I also have had the honor of having close, powerful female role models in my professional career. Consequently, I internalize the mandate to offer the same mentorship and role modeling for our younger female colleagues. A good lawyer friend of mine once said that every time she hears of a woman who leaves private practice, a little piece of her dies inside. Me, too. And, being part of the management team of my firm, I feel the innate responsibility to combat this disproportionate attrition. When there is diversity at the leadership table, everyone wins. So I ask you, what are you doing to change this progression of women leaving the practice of law? Are you addressing this in your hiring? Are you reevaluating your management style? Are you taking a long look in the mirror about your implicit biases? Are you properly stomping out sexual harassment? Are you being deliberate about your promotions and salary recommendations? This issue has been lost on the profession for far too long. And, while I doubt that this has been intentional, it has certainly had significant unintended consequences. When there is diversity at the leadership table, everyone wins. I look forward to the future results of the ABA recommendations for what law firms, corporations, bar associations, and individual lawyers can do to enhance the prospects for women to reach the highest levels of practice and remain in the profession. And so I challenge you, when you go to bed tonight, to think about how you might help in changing this unfortunate chronicle. Each one of us must commit to being a change agent on this issue. And if we are successful in doing that, I promise to you that I will lay off the hashtags. But until then, #BeTheChange. What is your favorite Wisconsin supper club and what do you usually order? This probably won’t shock you, but I’m not really a supper club kind of gal. I’m more of a burger-and-a-beer kind of gal, and preferably if there’s a Wisconsin sports team on the television. I don’t think you can beat an 11 a.m. Badger football game on the TV with a sloppy burger (which must include a fried egg) and a tall Oktoberfest beer. That being said, I do love an old fashioned, and supper clubs are usually a good place in which to find a nice pour. I order mine: brandy, old fashioned, press. So, next time we’re out, you can gladly deliver me one – but don’t expect a tip. com dkoll bakkenorman Deanne M. Koll, Bakke Norman S.C., New Richmond.